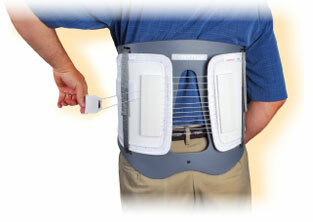 Cybertech Back Brace Products - The CYBERTECH line of spinal bracing provides superior support and or stabilization for a variety of spinal conditions from acute mechanical back pain relief to pre and post-operative stabilization through motion restriction. ● Low friction Flexible Pulley System provides powerful, smooth and easily-controlled compression. 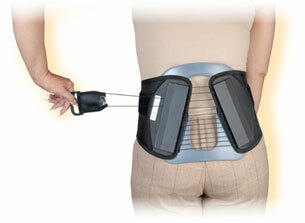 This feature allows the patient to easily adjust the tension of the brace. ● Ergo Dynamic Panels that comfortably contours and conforms to each patient's body structure. Panels are easily added or removed by the patient. ● Full Range of Options These three products will cover the complete range of patient needs - from a basic support system to one that provides highly restricted movement in all directions. Qualified recipients now have all the options available to ease the pain associated with back ailments. 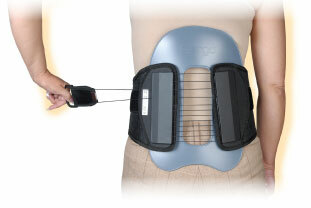 Cybertech Back Braces - Medicare does not require any education or certification to provide the Cybertech Back Braces - in most states. Before selling these products we recommend that you contact Medicare to determine if there are any specific requirements to provide the Pre-fabricated back braces. Innovate will be happy to provide phone consultation on: the products, patient qualifications, marketing, documentation, and the order process.